In 1801, Abigail's brother, Cyrus Powers - 19 years her senior - left Stillwater for the western village of Sempronius, Cayuga County, New York. In April of 1804, the widowed Mrs. Powers took her remaining six children to Albany to join a departing wagon train to Sempronius, where they lived with Cyrus Powers. The family was impoverished, thus making Abigail the first First Lady to rise from the lower-economic class. Abigail's brother Cyrus taught school in Sempronius from 1801 to 1803 in a double-log house built on land owned by the First Baptist Church there. After a three-year term by an eccentric successor, David Powers, another brother, and then a cousin Gershom Powers succeeded as teachers. Therefore, she received an excellent education from her mother and the family library at home, and from her brother in the schoolroom. During this time, Abigail developed a love of reading literature, but she also became proficient in math, government, history, philosophy and geography. In 1814, Abigail Powers became the teacher of the Sempronius village school. Although her first year of teaching was conducted in the same building where her predecessors had taught, unlike them, she taught in what was now a public institution. In 1812, the town council had approved funding for a public school. In 1815, a schoolhouse was built at Sayles Corners that became Sempronius' first district school, and she taught there. In 1817, after three years of working part-time, Abigail was employed full-time as a teacher. In 1819, she also began teaching at the private New Hope Academy in the nearby village of New Hope. Her oldest pupil there was 19-year-old Millard Fillmore (1800-1874), who came to the Academy to supplement his brief frontier school lessons in arithmetic, reading, spelling and writing. Fillmore's poverty and eagerness to learn mirrored Abigail's own experiences and ambitions, and she helped him learn quickly. On subjects where they both lacked knowledge, they studied together. Fillmore was abruptly separated from his family when they moved, and gradually the relationship evolved into romantic attachment. Fillmore's goal was a career in law. As he pursued his legal studies and Abigail continued her teaching, they did not see each other for three years but kept in touch by letter. In the interim, he apprenticed to a lawyer, taught school in the city of Buffalo and began a law practice in the nearby town of East Aurora, New York, across the street from which he built a home. In the summer of 1824, Abigail moved Lisle, New York, and became a private tutor to three of her first cousins, the daughters of her father's brother Herman Powers. Her professional reputation earned her the invitation to open a private school in Broome County, which she accepted. She returned to Sempronius and resumed her teaching career there in 1825. After a very long courtship, Abigail married Millard Fillmore on February 5, 1826. Without a honeymoon, they settled in East Aurora. Abigail taught in a public school there until the birth of her son, Millard Powers Fillmore (1828), making her the first First Lady to draw a salary from independent employment as a married woman.. She maintained a lifelong interest in education. In 1829, Abigail remained in East Aurora when Millard Fillmore went to the state capital in Albany, New York to serve a term in the state legislature. During that time, they continued to correspond. Abigail began to purchase books of literature, poetry and the classics to build upon his collection of law books at home, the core of what would become their personal library of over four-thousand titles. Two years later, Millard Fillmore returned to practice law in Buffalo, to which the family moved from East Aurora. Attaining prosperity at last, Fillmore bought his family a six-room house in Buffalo, where Mary Abigail Fillmore was born in 1832. Together, the Fillmores helped to establish a lending library and a college in the city. While raising her children, Abigail also read widely and continued her pursuit of education by learning French and piano. She also practiced scientific horticulture, cultivating floral species in a conservatory built onto their home. Having remained in New York during his initial term, in 1836 Abigail accompanied her husband to Washington, DC for his second term in Congress. The children were left in Buffalo with relatives and her letters to them during their separation were balanced between academic admonishments and maternal love. Enduring long separations from her extended family often left Abigail forlorn. She learned by letter in 1838 that her mother had died, and wept through the night at her loss. In Washington she listened to Senate and House debates, read newspapers and discussed the political issues of the day. She became an advisor to her husband, and performed the social duties of a wife interested in furthering her husband's political career, attending important social events and leaving her calling cards at the homes of various government officials. Fillmore left Congress in 1842. Uncommon for women of her era, she also enjoyed physical activity, especially sea bathing, but despised the "waste of time" necessary for dressing and arriving at the shore. In 1842 she badly broke her ankle then failed to let it heal properly. Bed-ridden, then housebound for months, she was unable to continue her vigorous exercise of walking. After two years on crutches, she was able to walk freely but was never again free from pain. As he pursued various offices in the years to come, Abigail suffered from the effects of her foot injury and various illnesses which limited her involvement in and enjoyment of Fillmore's political success. In 1847 when he was elected New York State Comptroller they temporarily moved to Albany, New York; their children were away in boarding school and college. By 1848, Abigail was experiencing back and leg problems and lung inflammation. In 1848, Zachary Taylor was nominated as the Whig Party's presidential candidate and Millard Fillmore was chosen as the vice-presidential candidate. Abigail spent much of the campaign confined to her room, with headaches and back and hip pain. When the ticket of Zachary Taylor and Fillmore won the election in 1848, ill health kept Abigail in New York. She did not attend the March 4, 1849 Inauguration and except for a brief April 1850 visit remained in Buffalo, desperately lonely for her son in Boston at Harvard College, her daughter in boarding school and her husband in Washington. Her public role as the Vice-President's wife was very limited. Abigail Fillmore was vacationing with her children at the New Jersey shore when they learned that President Taylor had died on July 9, 1850 and that her husband was now President. He briefly joined them there, after which they all moved into the White House. The First Lady was 52 years old. Even after the period of official mourning for President Taylor, the social life of the Fillmore administration remained subdued. The new First Lady reduced the burden of her duties by limiting the social calendar and asking her daughter, Mary Abigail Abbie Fillmore, to hostess events when she was ill. Still, Abigail's social obligations were demanding. The First Lady held morning receptions on Tuesdays, hostessed large formal dinners on Thursdays and welcomed guests to smaller dinners on Saturdays. Because her Friday evening receptions required two hours of standing at her husband's side to greet the public, Abigail would often spend the entire day in bed to rest her bad ankle. She also hosted the open house New Year's receptions on New Year's Eve in 1850 and 1852. Receiving greater press coverage than her more socially active predecessor Sarah Polk, the First Lady received her first mention in the public press just nine days after President Taylor's death. Newspapers and journals gave heavy coverage to the regal green coach with silver and mother-of-pearl mountings and blue silk interiors that was presented to the First Lady as a gift from the citizens of Albany. Abigail Fillmore may have become part of the larger nation's awareness because technology had so rapidly advanced in four years that the general public were able to see what she looked like in person. A full-length photograph of the First Lady was mass-produced on small, hard paper cards known as carte de visites, that were made available for sale in 1853 at the Washington, DC studio that made the original photograph. Highly conscious of her public appearances, she hired a maid who also dressed her hair, and a seamstress whose work made Abigail Fillmore the first First Lady to wear clothing created with a relatively new invention, the sewing machine. She also appeared with the President at public and official ceremonies, contrary to the prevailing ideal of a wife as a purely private person whose domain was strictly domestic. Abigail did not seem to endorse the Polk adminstration's ban on hard liquor or any public temperance movement. Certainly her belief in a woman's right to equal access to higher educational opportunities and her capacity to succeed at all intellectual pursuits might suggest she supported the general principals of the 1848 Seneca Falls Women's Rights convention. While Abigail was an important cultural and intellectual presence in her husband's administration, her political influence also appears to be significant. A friend quoted the President as saying he "never took any important step without her counsel and advice," and a reporter called her "remarkably well informed" the political issues her husband faced. Millard Fillmore did not win the Whig presidential nomination in 1852. Planning an extensive tour of the American South in the weeks following their departure from the White House, the Fillmores moved to a suite at the nearby Willard Hotel. On March 4, 1853, Abigail remained near her husband throughout the ceremonies of President Franklin Pierce's inauguration, while a raw northeast wind whipped snow over the crowd. Returning chilled to the Willard Hotel, she caught a cold and the next day came down with a fever. Within days, her lingering cold developed into pneumonia. To prevent her lungs from swelling with liquid, her bed was leaned nearly upright but her condition worsened. 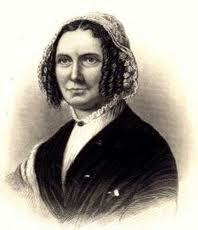 Abigail Fillmore died at the hotel on March 30, 1853 at age 55, 26 days after leaving the White House. Both Congress and the President's Cabinet adjourned in mourning, and public offices closed as her family took her body home to Buffalo for burial. Her death was more widely reported in detail than that of any of her predecessors. I almost think poor Mrs. Fillmore must have received her death warrant while standing by my side on the marble terrace of the Capitol, exposed to chilly wind and snow, listening to the inaugural speech of her husband's successor. After her mother's death, Abbie Fillmore assumed responsibility for her father's household at their Buffalo home. She became his companion at the few public events he attended in Buffalo, but her most famous appearance was during the "Grand Excursion" of June 1854 which publicized newly created transportation links between railway and steam boat travel. Abbie and President Fillmore were among several hundred prominent citizens to travel from Chicago to Rock Island, Illinois by rail, then to St. Paul, Minnesota Territory and back by steamboat. Covered by large eastern newspapers, the event especially celebrated the natural beauty of the upper Midwest. The scenic wonder was captured in June 7 accounts from Trempealeau, Wisconsin where Abbie Fillmore made a dramatic and swift climb to a bluff on horseback, the very image of a healthy and adventurous American girl. Seven weeks later, while visiting her grandfather in East Aurora, Abbie contracted cholera and died in one day.